I'm a day behind on this post, but I got super busy yesterday running all kinds of errands. Oh well, here it is. • My face gets really dry after washing it, so I have to use a lotion. I don't like using things on my face that are not natural, so I'm always at the health food store finding something to ease the dryness. These two items are tops on my list. Rose & witch hazel toner (gets rid of redness, etc.) 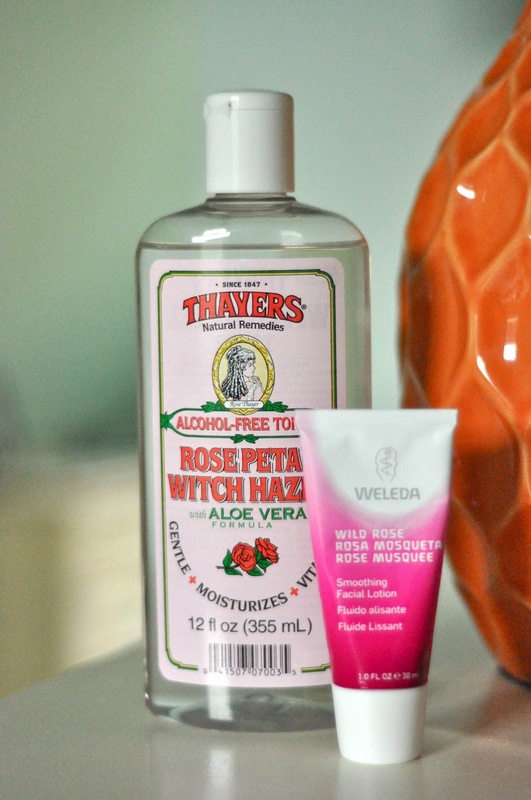 and Weleda rose moisturizer. 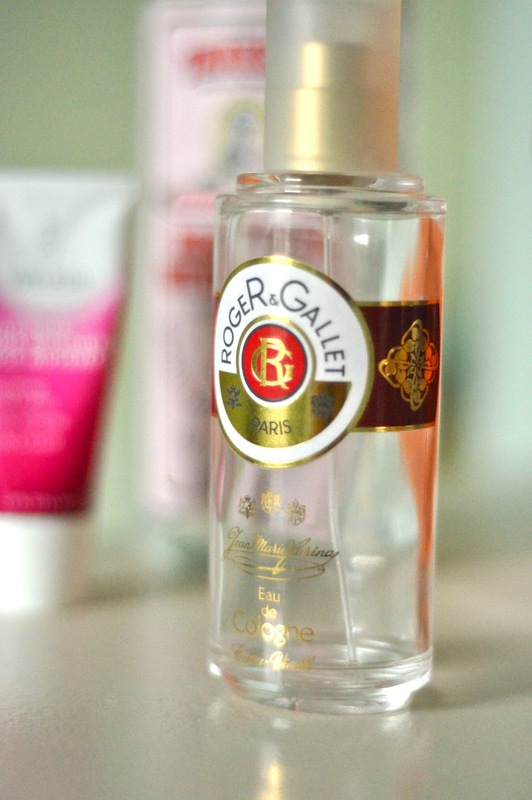 • I have a couple perfumes I like, but at times I feel overwhelmed by the super strong ones (even if I love the scent). On a daily basis I use this Roger & Gallet eau de cologne, which has a sharp but not overwhelming natural lemon smell. It makes me feel fresh all day. I'm sure it's sold here in the states, but I've never looked for it. I usually stock up when I go to Paris, or have my dad bring some when he comes to visit. This scent also smells great mixed with other perfumes. I usually spray it on right when I get out of the shower, sort of mixing it in with my lotion, and then spray another scent when I'm done getting dressed. It's my favorite! • I was at the drugstore the other day and found this adorable robin's egg blue Sally Hansen nail polish (it's actually called 'Air' and it's number 06). So far I really like it. It's subtle but fun for spring, considering the pastel trend.